This month we’re very proud to announce that we have released the first version of our Payger Woocommerce Plugin for WordPress installations beginning of this October! The Payger WooCommerce plugin makes it quick and easy to accept bitcoin and other crypto currencies as payment methods on any WooCommerce-powered site. Today WordPress-powered WooCommerce is one of the most popular e-commerce platforms on the web with over 52+ million downloads and is integrated with over 28 percent of all online stores worldwide. Now, each of these stores has a point-of-sale plugin to begin accepting cryptocurrency payments from customers from around the world powered by Payger. Here are more useful stats about WooCommerce. 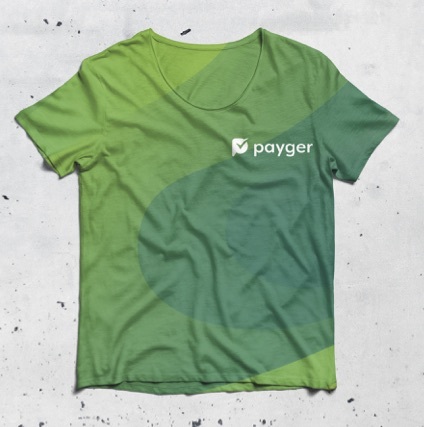 The Payger WooCommerce plugin can be found on our Payger GitHub account and is available in multiple programming languages. Try it yourself! This October we have created a demo online shop to showcase the Payger WooCommerce plugin. This store will be updated over the next couple of weeks and is for demonstration purposes only. Last month we improved the transaction confirmation notifications as we added additional information about the transaction fees and exchange rates that are charged before users will initiate a transaction. Adding this information improves the transparency for all users about the fees involved. All Payger fees can be found here. In addition, we designed and are implementing a first version of a contact list to the Payger Wallet. The contact list will simplify transactions to other users. Contacts can be added or removed with a few simple clicks. Remember in Payger we are using Payger-ID like @pariscafe24 as addresses. We continue developing a better user experience and improve the onboarding process. 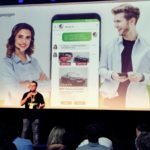 We completed our first integration with Trulioo and will carry out tests with real identity documents as opposed to mock ones. We’ve improved the document upload step during our onboarding. Data suggested this step was the one with most drop-offs so we’ve simplified the UX and reduced the number of clicks needed to complete it. We also integrated ZenDesk for our support ticketing system instead of Jira Service Desk. We felt that Jira Service Desk was just not flexible enough when it came to customizing which meant that some of our emails were not on brand and this confused users. To sum it up we constantly secure that our code has the best quality by adding more automated test in our backend. In our last sprint, we spent some time on cleaning up sections of our code. This will improve performance and will make our life easier when we revisit the code. As usual, we fixed some bugs that were in production and some others that came out from the new features. 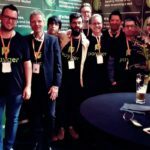 BitFest 2018 in Amsterdam was a blast and it was the first time that the core Payger team came together and meet in person. We had great conversations with the BitShares Blockchain community and we are all looking forward to next years BitFest 2019! 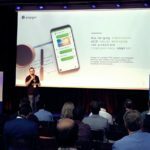 In summary, October has been another busy month for the Payger team and we are looking forward to your feedback, change requests and your first experience with the Payger Wallet. 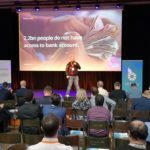 Write us a mail, join us at Telegram or visit us in Munich. We are looking forward to keeping in touch with you.